Canine chronic hepatitis (CH) is a chronic inﬂammatory liver disease that without intervention, progresses to hepatocellular necrosis and ﬁbrosis/cirrhosis. A deﬁnitive diagnosis is made with histopathology. There are several known causes of canine hepatitis, including infections such as Bartonella, Helicobacter, leptospirosis and Ehrlichia. Exposure to aﬂatoxins and anticonvulsant medications can cause hepatitis as well. Many dog breeds have a familial tendency to develop hepatitis, including Doberman Pinschers, Bedlington Terriers, West Highland White Terriers, Cocker Spaniels, Dalmatians, Skye Terriers, Standard Poodles, German Shepard dogs, Labrador Retrievers, Scottish Terriers and Beagles. Some of these breeds such as the Bedlington Terrier have been shown to have defects in copper metabolism, and subsequent copper toxicity that causes hepatitis. Other breeds are suspected to have a variation of this toxicity. However, most cases of CH are idiopathic, where no speciﬁc underlying cause can be found. Cases of apparent acute idiopathic canine hepatitis are treated relatively commonly by veterinarians. These dogs develop typical symptoms of liver disease (lethargy, anorexia, vomiting, diarrhea, polyuria/polydipsia (PUPD), weight loss, etc) along with elevated liver enzymes and an inﬂamed-appearing liver. Often after a few days of supportive care the dogs appear to recover clinically and their bloodwork is improved, so their liver is never biopsied. Importantly a portion of these dogs may progress, subclinically, to chronic hepatitis. It has been shown that monitoring serum liver enzymes will not likely detect this progression. 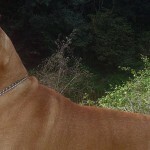 These dogs become clinical 4 – 8 months later and at this stage have irreversible ﬁbrotic damage to the liver. In one study of 21 dogs with acute hepatitis where acute and repeat liver biopsies were taken in 12 dogs, 5 of them progressed to CH. If the transition from acute hepatitis to CH is detected early, it can be successfully treated with corticosteroids. 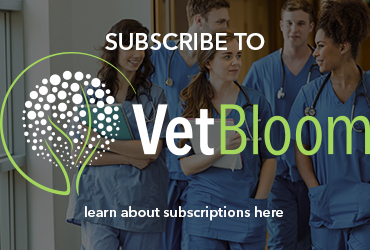 Therefore, some veterinarians are advocating control biopsies be taken 4 weeks after an episode of acute hepatitis so chronic disease can be detected early. Clinical signs of CH are often inapparent until the disease is relatively advanced and occur most commonly at 4 – 7 years of age. Females may be more affected. Symptoms of severe failure (cirrhosis) include lethargy, anorexia, vomiting, weight loss, PUPD, diarrhea and ascites. Less advanced disease manifests as lethargy, poor appetite, weight loss, with or without vomiting. Some dogs are diagnosed in an early stage when routine screening bloodwork is done, or when lab abnormalities are found when testing for other conditions. Physical exam ﬁndings are relatively unremarkable and may include poor body condition, ascites and jaundice. The most common laboratory abnormalities are an elevated ALT (avg 10X), and ALP (avg 5X) though both may be minimally elevated if disease has progressed to cirrhosis. A low albumin and cholesterol are seen 40 – 75% of the time. A high globulin and low BUN may be present. Bile acids are elevated but bilirubin often is not. Hypoglycemia is rare and suggests a very bad prognosis (< 1 week). There may be a mild anemia due to chronic disease. A leukocytosis and consumptive thrombocytopenia may be present. A prolonged PT and PTT are seen 10 – 60% of the time and may suggest a very bad prognosis. An ascites will be a transudate or modiﬁed transudate. Radiographs may show ascites or a small liver. Ultrasound ﬁndings are often non-speciﬁc and the liver may or may not be inhomogenous, iso-, hyper- or hypoechoic with or without nodules, or multiple acquired shunts. 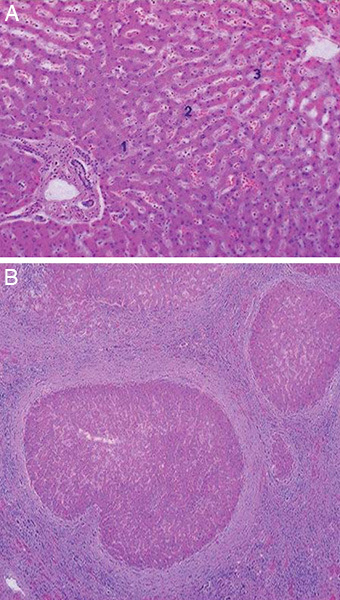 Figure: Compare the normal liver lobules (A) to the dog with chronic hepatitis (B). The three cornerstones of canine CH found on liver biopsy include inﬂammation, necrosis and ﬁbrosis, with or without cirrhosis (see figure). Excess copper may or may not be found, along with hydropic change and nodular regeneration. Hydropic change is vacuole development due to endogenous steroid release. The inﬂammation is predominantly lymphoplasmacytic, possibly with some neutrophils and macrophages, but it is not granulomatous. The necrosis is initially piecemeal, meaning affecting hepatocytes adjacent to the portal tract or limiting plate. With time necrosis extends to the central veins, a progression called bridging necrosis. Necrosis leaves behind space (hepatocyte dropout) and the liver responds by producing hepatocytes and bile duct epithelium. However the extracellular matrix is disrupted by inﬂammatory enzymes and releases substances that attract collagen-producing cells creating an altered, ﬁbroid, matrix on which hepatocytes are growing. Cirrhosis occurs when there are regenerative nodules surrounded by ﬁbrous connective tissue bridging between portal tracts. In a recent study of 101 dogs with hepatitis, 29 had copper levels high enough to suggest copper as an underlying or contributory etiology. Routinely staining liver biopsy samples for copper is recommended. A semi-quantitative assessment of copper levels can be obtained staining with either rubeanic acid or rhodanine stain which stain the copper bright red. Results are reported as mild, moderate or severe, or on a scale such as 1 to 4. Formalin-stained, parafﬁn embedded samples can be stained for copper, but the samples need to be pretty big: – 3, 14-gauge needle biopsies or a wedge biopsy are preferred. Commercial labs offer a panel of stains for liver pathology that includes Masson’s trichrome stain for collagen, prussian blue stain for iron and rhodanine stain for copper. The cost is about $25.00. Quantitative atomic absorption analysis is done at Colorado State University and the California Animal Health and Food Safety Lab on 1 gram of fresh frozen tissue in a copper-free serum blood tube. There is a 1 – 2 week turnaround at CSU for $35.00 and 3 – 5 days at California for $100.00. The goals for treatment of canine CH include reducing inﬂammation, alleviating the underlying cause when possible, anti-oxidant therapy, reducing or preventing ﬁbrosis, treating hepatic encephalopathy and supportive care. Glucocorticoids are the mainstay of therapy. Beneﬁts include being anti-inﬂammatory, inhibiting ﬁbrosis, stimulating appetite, decreasing intestinal copper absorption, making the patient feel better and prolonging life. Prednisolone or prednisone is used at 2.2 mg/kg/day and tapering after clinical signs and hepatic enzymes improve. ALP will rise or remain elevated but ALT should decline. Azathioprine (Imuran) at 1.0 mg/kg/day may be used if steroids are ineffective or cause excessive side effects. Try to taper to every other day and monitor for liver toxicity and bone marrow suppression. Oxidation is a signiﬁcant mechanism of hepatic damage. Anti-oxidants work in many ways to prevent oxidative damage and have minimal to no side-effects. Commonly used anti-oxidants include S-adenosyl-methionine (SAM-e) at 18mg/kg daily, Silymarin (Milk Thistle) at 20 – 50 mg/kg daily and vitamin E at 400 – 600 IU daily. No studies of any of these compounds have been carried out to demonstrate efﬁcacy in chronic hepatitis. Ursodeoxycholic Acid (Ursodiol) is a natural, hydrophilic bile acid produced in the liver which is helpful because it is hepatoprotective in many ways including, displacing hydrophobic bile acids that induce apoptosis, modulating the immune system, increasing bile ﬂow and increasing production of anti-oxidants. The dose is 15mg/kg daily and there are virtually no side effects. Many drugs – prednisone, azathioprine, vitamin E, zinc and penicillamine – are known to have preventative, anti-ﬁbrotic effects. Colchicine is a microtubule assembly inhibitor that increases collagenase activity, so may be able to reduce existing ﬁbrosis. The dose is 0.03mg/kg daily. This can uncommonly induce vomiting and diarrhea. No studies of efﬁcacy in canine CH have been carried out. To minimize hepatic encephalopathy a diet low in aromatic amino acids such as Hill’s L/D is recommended, if it is tolerated. Lactulose and a soluble ﬁber source also help by decreasing ammonia uptake from the colon by inducing bacteria to produce acids that decrease colonic pH, converting ammonia to ammonium, which cannot be absorbed. Neomycin, 22mg/kg tid to qid, Fagyl 7 – 15 mg/kg bid, and Clavamox 10 – 15 mg/kg bid decrease the colonic bacterial population that produce ammonia. In treating ascites, Lasix should be used cautiously, or not at all, because it can cause hypokalemia and alkalosis. In the alkalotic state there is more ammonia than ammonium and it diffuses across the blood brain barrier readily. With hypokalemia, potassium exits cells and hydrogen ions enter cells causing intracellular acidosis. Ammonia readily enters the cells, becomes ionized, then cannot leave the cell. Use the potassium-sparing aldosterone receptor antagonist diuretic, spironolactone at 2 – 4 mg/kg bid. Additional supportive care includes preventing or treating gastroduodenal ulceration with H-2 receptor blockers, proton pump inhibitors and/or Carafate, treating nausea with anti-emetics and giving ﬂuid and colloid support. When hepatitis is induced by copper toxicity, chelation should be instituted with penicillamine at 10 – 15 mg/kg bid for about 3 months. The drug binds extracellular copper and the complex is excreted in urine. Intracellular copper exchanges with extracellular copper and it is eventually removed. Penicillamine causes nausea and vomiting about 30% of the time – this side effect can be diminished by giving it with food. Zinc acetate or zinc gluconate at 5 – 10 mg/kg bid one hour before a meal induces the copper binding protein, metallothionein, in enterocytes. Dietary copper remains in the enterocyte and is eventually sloughed with the cell, therefore zinc can be used to prevent as well as remove existing copper accumulation. Side effects include a transient inappetence and a copper deﬁciency hemolytic anemia if treatment is overdone. Bedlington Terriers are known to have an autosomal recessive metabolic defect in biliary copper excretion which causes copper to progressively accumulate in the liver causing oxidative damage after reaching about 2,000 ppm. Clinical signs can be silent, can be those of acute or chronic liver failure and can be combined with hemolytic anemia. A diagnosis is made with histopathology and copper quantiﬁcation showing excess copper, and subsequent inﬂammation, necrosis and ﬁbrosis. To screen these dogs, liver biopsies should be performed at 6 and 15 months of age. Unaffected animals have normal copper levels. Heterozygotes initially have high copper levels that taper at the second biopsy. Homozygotes have high copper levels that worsen over time. Affected animals should be removed from the breeding pool. If these animals are treated at a young age, they have a good prognosis. Hepatic copper storage and associated hepatitis seem to be breed associated in several other breeds such as the Doberman Pinscher, West Highland White Terrier, Dalmatian, Skye Terrier, Cocker Spaniel and Labrador Retriever, though the relationship is uncertain. Copper accumulation may be due to a defect in copper metabolism, or may be secondary to altered biliary excretion with cholestatic liver disease. Copper is an element of ingested proteins that is generally ingested in excess, and is eliminated by the liver and biliary system to avoid toxicity. Normal dogs have less than 400 ppm (µg Copper/gm liver). Dogs with hepatic disease with >2,000 ppm copper likely have disease caused by copper toxicity. Less than 1,000 ppm copper suggests copper accumulation secondary to liver disease, and copper between 1,000 and 2,000 ppm may be the primary cause of hepatitis. Median survival for canine CH is 16 – 18 months in three recent studies where there was no distinction between idiopathic and copper-associated disease. Better identiﬁcation of copper-associated forms of hepatitis may result in an improvement in survival time.